Granta's 'Best Of Young British Novelists' Shows A 'Disunited Kingdom' : The Two-Way Literary magazine Granta's "Best of Young British Novelists" issue reflects the changing face of U.K. literature. 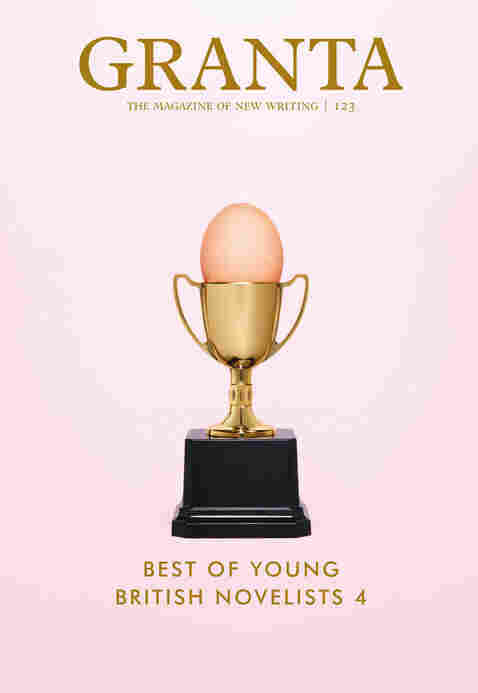 Once every decade, the literary magazine Granta publishes an issue called "Best of Young British Novelists," with short excerpts from the novels of 20 emerging authors. In the past, the list of names has proved unusually prescient, with authors such as Salman Rushdie, Martin Amis and Zadie Smith featured before they were widely read. So the release of the fourth list Monday afternoon is accompanied by, as Granta editor John Freeman writes in his introduction to the issue, "the newspapery whiff of zeitgeist prediction." If the list is an accurate bellwether for the direction British fiction is taking, then it provides hope that the model of an insular and class-based literary community in Britain is beginning to fade. As Freeman wrote in an email, "the literary community used to feel like a club. Many of the writers in the 1983 issue knew each other well, went to university together even. In the 30 years since that first list there's been a broadening of who participates in literature, and I think you see that reflected in our list. As for contemporary British literature, I think its disparateness is its strength. ... This is a former empire, and I think many of Britain's best contemporary writers are still grappling with the human dimension of that period, and its aftermath." Many of the authors come from former English colonies, and the list includes authors from Somalia, China, Pakistan, Bangladesh, and second generation immigrants with roots in Nigeria and India. Helen Oyeyemi, who wrote the critically-acclaimed novel Mr. Fox, wrote in an email, "I see contemporary British literature as a disunited kingdom, and to that I say hurray — things are much more interesting this way." But Granta's editors are adamant that, although their list is remarkably diverse, both in terms of ethnic origin and in terms of gender, they do not use quotas of any kind. Freeman wrote in his introduction that "not once during our proceedings did we talk about the need for diversity, or gender balance, or a multiplicity of background." Ellah Allfrey, the Deputy Editor of Granta and one of the judges, wrote in an email that although the gender balance was "a source of delight," there was no quota, but rather that "the result reflects a happy reality of the literary landscape." The multiplicity of voices — even if it is accidental, as Granta's editors claim — is one of the issue's greatest strengths. From Sarah Hall's almost archaic use of English, with its formal and distinctly Anglo-Saxon vocabulary, to Tahmima Aman's slangy prose, studded with Hindi words like "yaar" and "filmi," the issue catalogues the many, many voices of contemporary Britain. Freeman seems unwilling to see the issue as a reflection on English society (he wrote, "Even if you could read these writers' work in such a manner, why would you want to? "), but Anam wrote in an email that the issue "reflects the long history of colonialism and immigration that has been part of this country's legacy for generations." Kamila Shamsie's excerpt, for example, is a clear indictment of the mistreatment of Indian soldiers within the British army. And what Allfey described as a "happy reality" is not reflected by other publications: the recently released VIDA count, which tracks the gender balance of reviewers and authors in places such as The New York Times, Harper's and The Paris Review, shows that women are still strikingly under-represented in most major literary magazines. To claim, as Granta does, that the best voices naturally rise to the top seems to trivialize how many real barriers there are in the literary world for women and minorities. It also downplays Granta's active role as a literary curator, promoting the works of authors that deserve to be more widely read. In a 2011 Guardian article, Freeman is, in fact, described as using something close to quotas: "John Freeman, the editor of Granta magazine, said he worries about 'these gender imbalances a lot'... Granta commissions equally between men and women, he continued..."
Granta is filled with eclectic, lovely voices. But its editors do its contributors a disservice by implying that it isn't much, much harder to achieve literary fame as a recent immigrant or as a woman.